For hundreds of years, Laplanders have been harnessing reindeer and strapping on Nordic skis as a way to travel across vast snowy expanses. 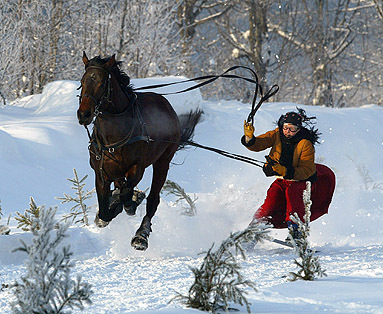 This practice became known as skijoring, or "ski driving", and remains a popular tradition in all Scandinavian countries today. 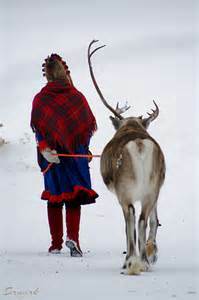 In fact, reindeer races are still held annually north of the Arctic Circle during winter festivals celebrating the region's rich Sami tribal culture. The winter reindeer racing season in Finnish Lapland culminates in the King of Reindeer race event held in Inari, 350 kilometres north of the Arctic Circle, when Lapland’s forests and lakes are still covered with a thick blanket of snow and ice. 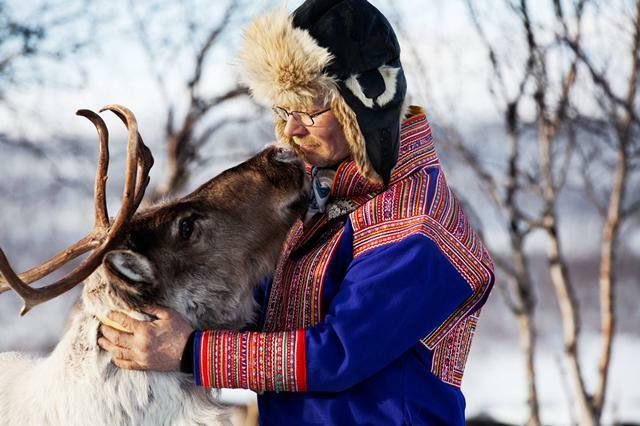 Many of the reindeer owners are indigenous Sámi people, and some competitors come over the border from Norway. Almost 200 reindeer are brought to Inari to run in three competitions for animals with different levels of racing experience: a general category for beginners; a “hot” category; and the King of Reindeer category, run over two days. 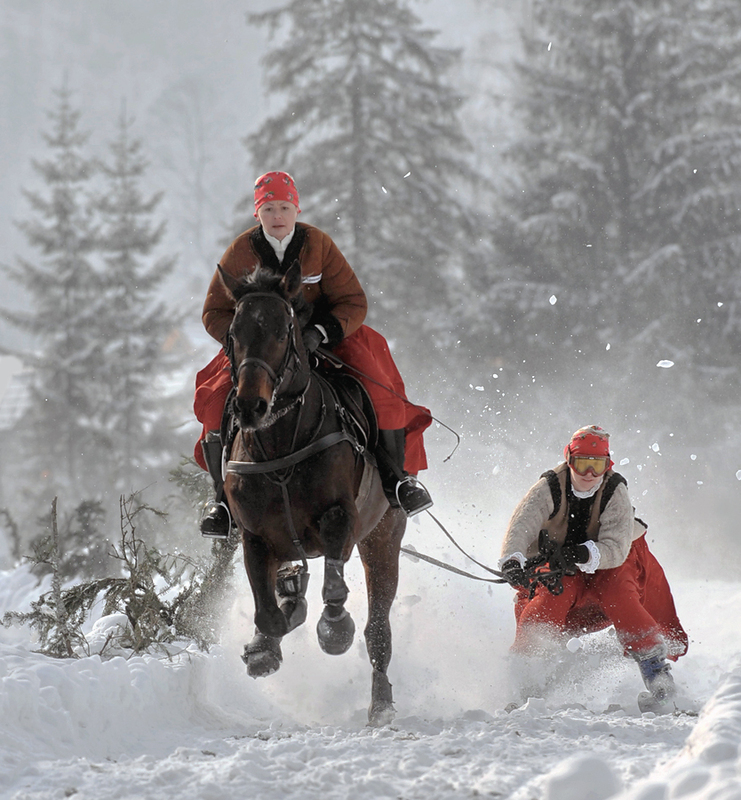 Jockeys, wearing streamlined ski suits and helmets, ski behind the reindeer using leather reins to keep the animals on course. 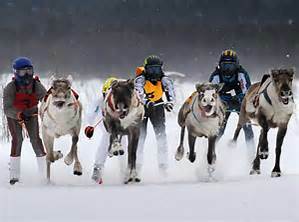 High-speed collisions can occur, but once at the finish line the jockeys let go of the reins, and the reindeer rejoin their pack in a paddock. 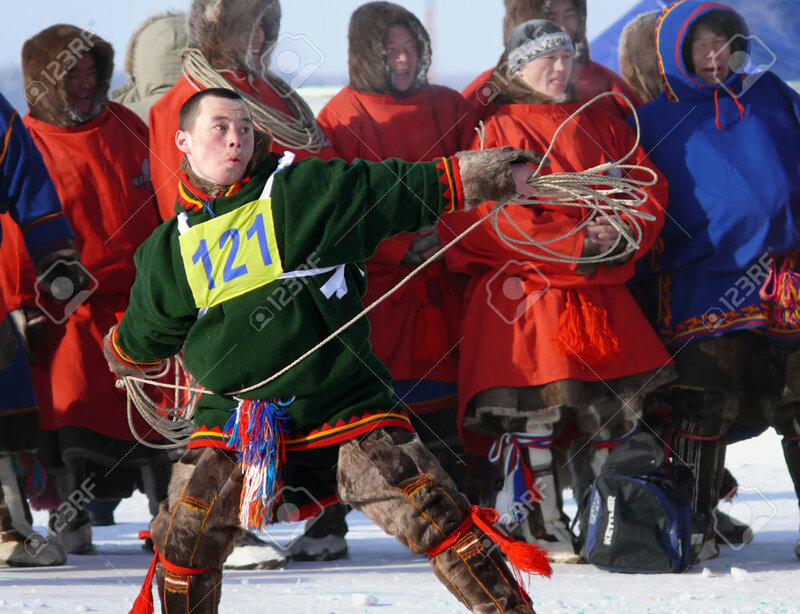 Side events include lasso-throwing contests and 220-metre reindeer sprint races. Beside the racecourse, locals gather at stalls where locals offer hand made crafts as well as hot coffee and tasty reindeer meat stew. In 2017 the event was held on April 1 & 2. 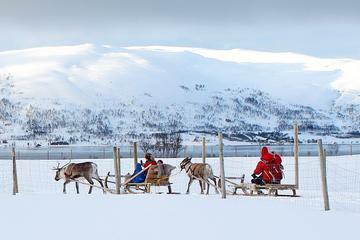 Reindeer Racing Championships are held on the first Sunday of February in Tromsø during Sami Culture Week. 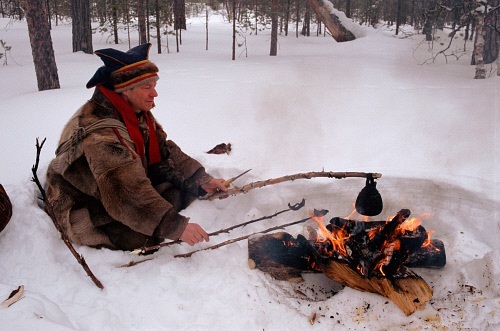 The Sami people traditionally inhabited the northern parts of the Nordic countries (Norway, Sweden, Finland and Russia) then called Sapmi. In recent years, the Sami people have had to fight for their right to maintain their culture and traditions, resisting pressure to assimilate to the norms of their modern counterparts. During Sami Culture Week these lasting traditions are celebrated. 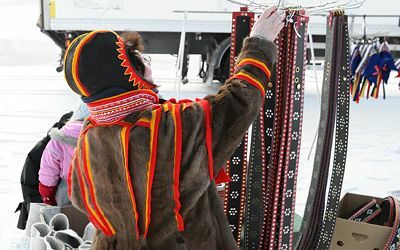 Lasso Throwing and Reindeer Racing are the highlights, however, a traditional market is built where traditional Sami handicraft such as knives, gloves, hats, shoes and jewelry is sold. Visitors can also experience a Lavvo or traditional Sami tent where a fire burns and reindeer meet can be eaten. Traditional song called "yoiking" is also a popular attraction. In 2017, the event was held on February 4 & 5. Participants often travel hundreds of miles across the frozen tundra to attend the Reindeer Herder's Day competition in the northern Siberian region, which has more than half of its territory above the Arctic Circle. 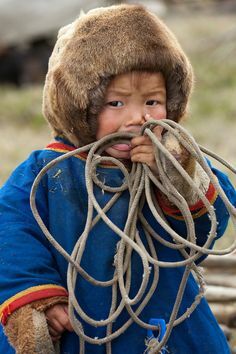 There are about 40,000 Nenets living in the Arctic region and many work in traditional reindeer herding. For the indigenous nomadic Nenets people, the event offers a chance for them to celebrate the animals, show their prowess in wrestling, high jumps and other traditional local sports, but, above all, participate in reindeer races. The year 2015 marked the 20th anniversary of the event, and dozens of reindeer-driven sleds took part in the race. In 2017 the event was held on March 25 & 26. For insight into "A Month in the Life of Reindeer Herders" by National Geographic PROOF Click Here! Equine skijoring is believed to have made its official debut in Stockholm at the Winter Games of 1901. In 1924, skijoring was demonstrated at the Winter Olympic Games in Chamonix, France and in 1928, skijoring was featured as an exhibition sport at the Winter Olympics in St. Moritz, Switzerland. 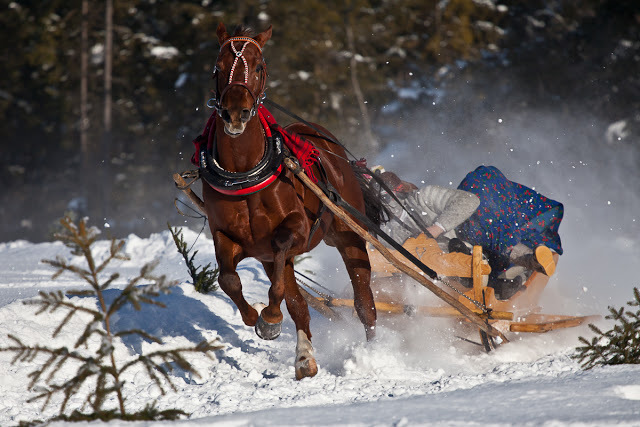 Today, in Europe, equine skijoring remains popular as a recreational activity in ski resorts around Chamonix and is also a tradition during White Turf, an event held annually in Saint Moritz since 1907 which features horse racing on snow as well as chariot racing and equine skijoring. 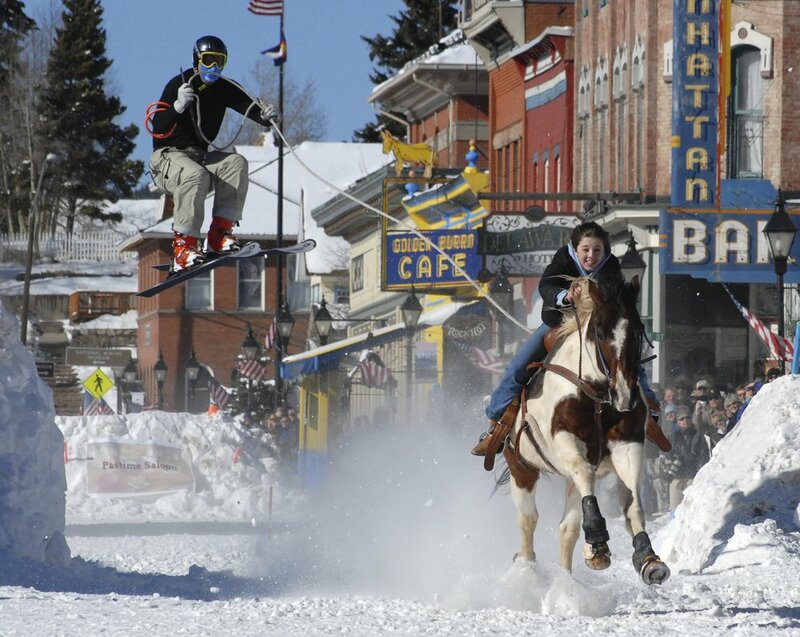 In the United States, Leadville, Colorado has been hosting a competition down its main street since 1949 and Steamboat, Colorado has included skijoring in its winter carnival which began in 1914. 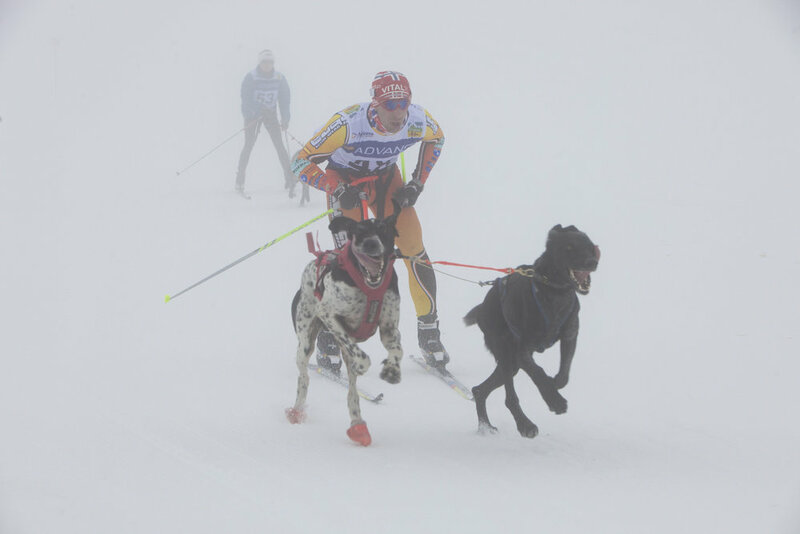 Prior to skijoring out West, the sport was enjoyed on a recreational level on the east coast in Lake Placid, New York. It is believed that the tradition of racing found its way to the United States during WWII when Tenth Mountain Division soldiers returned from their posts in the Alps. Today, races are held in Montana, Idaho, Wyoming, New Mexico, Colorado, New Hampshire and Quebec, Canada. 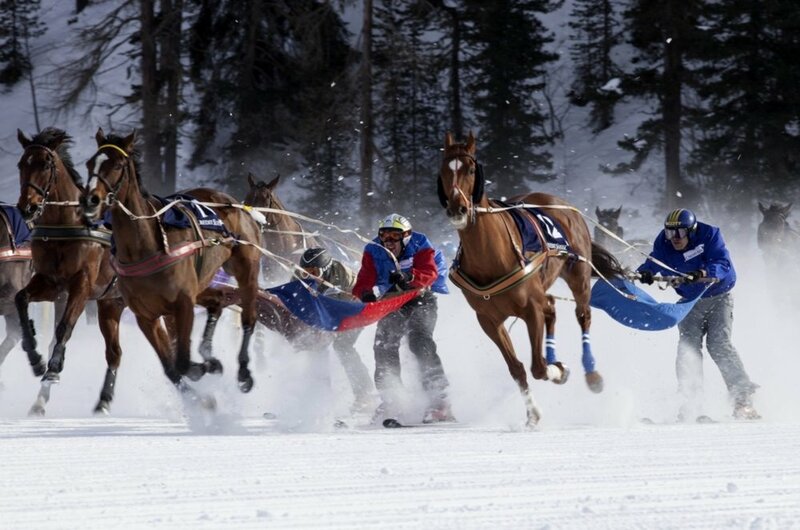 The Engine Valley of Switzerland, and more specifically, Sankt Moritz (Saint Moritz spelled in Swiss German), holds claim to being the birthplace of equine skijoring in its purest form when it comes to racing. This is hard to dispute. After all, it was here that "almost 100 years ago, a couple of enterprising sports enthusiasts invented a brand new equestrian pastime", the sport of skijoring, and it even "flirted with the idea of becoming an Olympic discipline", according to the White Turf website. "Nowhere else in the world do thoroughbred horses regularly compete without riders on their backs but instead with skiers in tow." 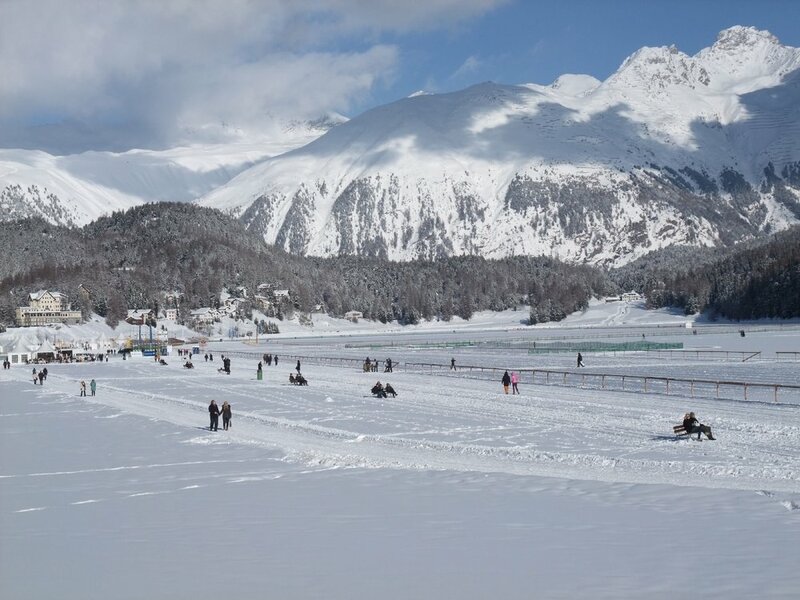 So since 1907, for three consecutive Sundays every February over 35,000 spectators gather on the frozen lake of Saint Moritz to view this amazing spectacle. 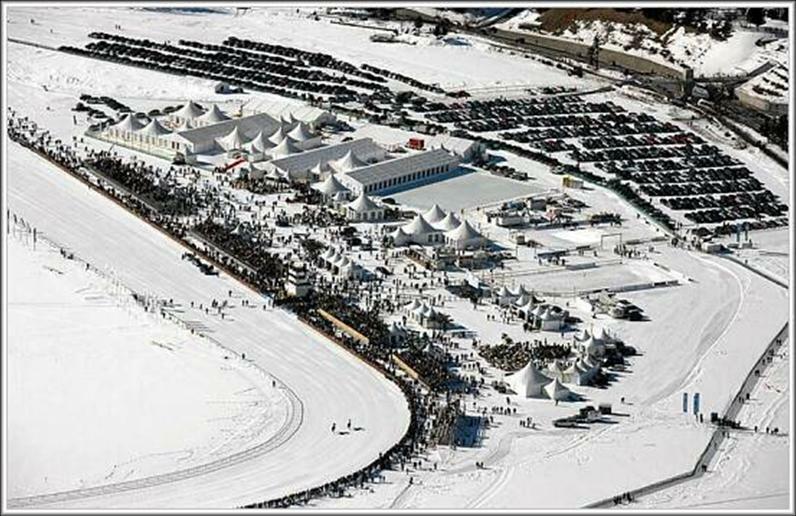 White Turf features international thoroughbred horse racing with jockeys, modern chariot racing and skijoring competitions. Under a white tented village built on the frozen lake with the pristine Alps serving as a spectacular backdrop, spectators from all over the world sip on champagne, place bets on the races, and mingle while listening to music. This year's event will be held February 3, 10 & 17, 2019. Every year in the Tatra Mountains of Poland, a tradition unfolds that marks the end of the Highlanders' Festival known as the Goralski Karnawal. 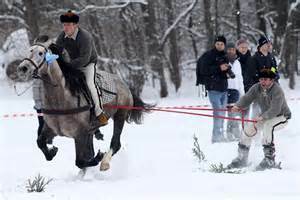 The race is called the kumoterska gonba, more commonly known as "Kumoterki", and involves riders, two on every sledge, pulled by horses. There are also skijoring races. The name comes from the small type of sledge used from the past until now to transport godparents for religious occasions in the area of Podhale. There is also a parade called the Parada Gazdowska. Over 30 horses take part in Gazdowska and Kumoterska parades. In different races, like kumoterki race skjoring and skiskjoring races, there were 24 participants and about 20 horses. The region is deeply traditional, patriotic and Catholic so the residents present themselves and their horses with traditional clothes, accessories and shiny brass ornaments. The 2018 events were held from January 14-February 25, 2018. It is still unclear as to where the first skijoring events occurred in the United States and perhaps more importantly, how they even got started! 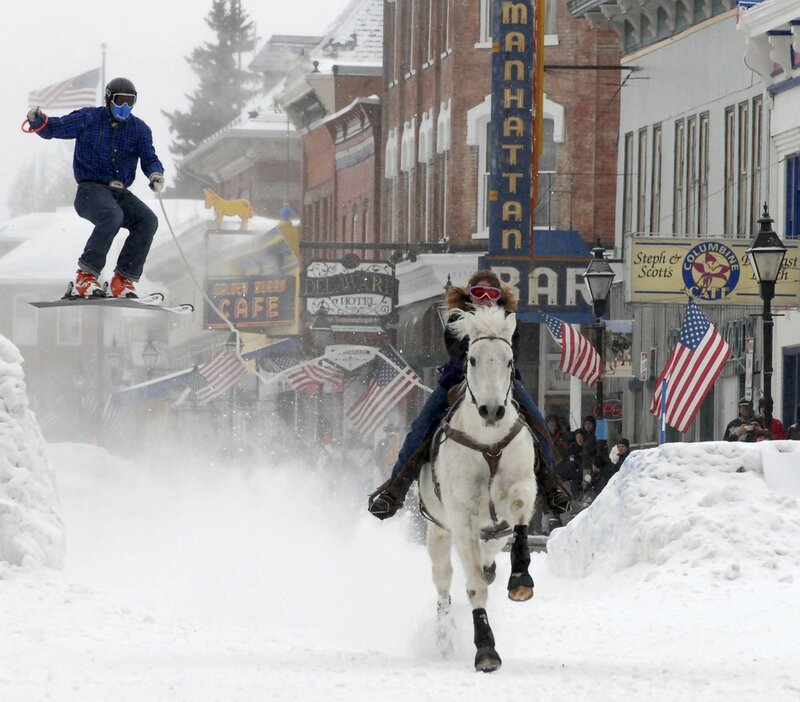 Some maintain that Leadville, Colorado is the birthplace of skijoring races, while residents of Steamboat, Colorado insist that skijoring has been a part of their Winter Carnival even before Leadville was racing. There is strong evidence that skijoring was practiced in Jackson Hole, Wyoming in the 1930's, but then it can be proven that recreational skijoring was also in Lake Placid, New York and Hanover, New Hampshire as early as 1915. This discussion aside, presently, an equine skijoring race circuit exists and is growing throughout the Rocky Mountain region and a small enclave is still active in New Hampshire and Quebec. But true to the renegade tradition of the sport, many races remain independent of sanctioning bodies that may emerge. Race organizers uphold stringent safely standards and set their own courses attracting competitors from far and wide whether new to the sport or being seasoned racers. For a schedule of the 2019 Equine Skijoring Circuit, click here. Events are now expanding in Canada! On February 3rd, the season begins with Skijordue in Calgary which promises to be a one-of-a-kind winter event not to be missed! Races in Wetaskiwin and Crowsnest follow. The first report of a person being pulled on skis (or wooden boards) by an animal or animals, dogs in this case, was recorded by a Persian historian thousands of years ago in the Altai Mountains of Central Asia, where Russia, China, Mongolia and Kazakhstan come together. Arguably, this is when and where skijoring, and more importantly, the sport of skiing began! Today, skijoring with dogs remains a popular sport in Scandinavia, Alaska and the American mid-West. The IFSS, or International Federation of Sled dog Sports, headquartered in Brussels, Belgium, sponsors a Championship race every year. Last year (2016), the event was held in Salaven, Norway. In 2017, it was held in Ontario, Canada (January 24 - February 1). In 2018, it will be held in Millegrobbe/Lavarone, Trento, Italy (February 23-25). The event features skijoring as well as dog sledding. See video link below. The IFSS is actively pursuing an IOC membership in hopes of having sled dog sports included in the Olympics. As a result, in 1985 the original founders from Idaho and California joined with other sled dog sport enthusiasts from Norway, Germany, Austria, Canada and France to form an international sporting organization. Together they continue to pursue a presence in the Olympic Games. The ASPA or Alaska Skijoring and Pulk Association promotes recreational and competitive skijoring in the Alaskan Interior. Each season more than 20 events are coordinated including how-to clinics, fun races, competitive races and tours. The City of Lake Loppets Festival draws more than 10,000 racers of all ages and sizes and celebrates the bright side of winter. 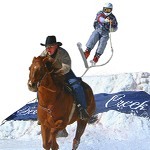 The festival boasts 21 events from skijoring to a ski marathon and winter bicycling races to a snow sculpture contest. It is about getting outside and celebrating Minnesota's climate and draws over 20,000 spectators. 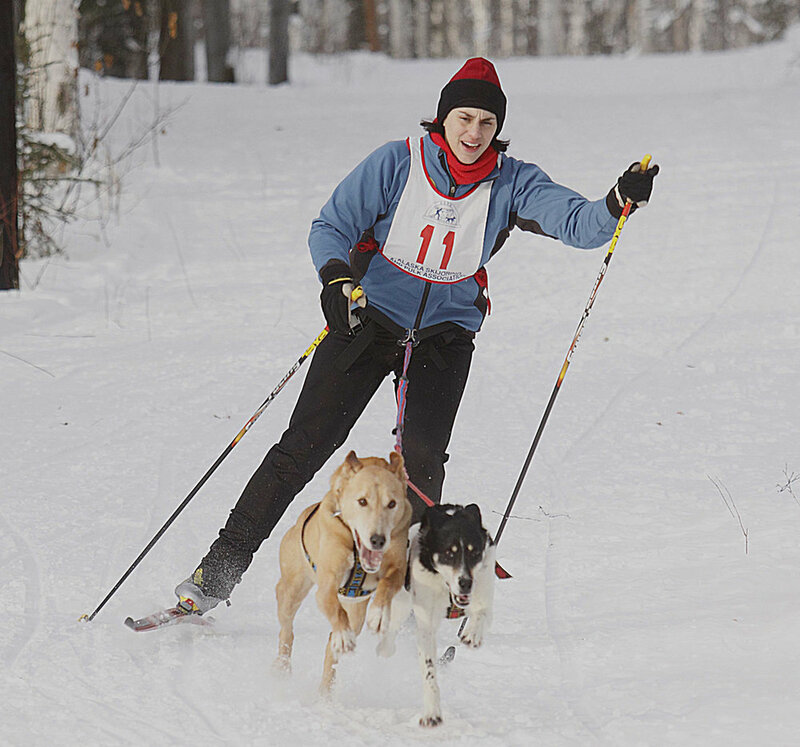 10, 5 and 3 kilometer skijoring races are available for skiers and their dogs. The dates for 2018 are Saturday & Sunday, January 27 & 28 and February 3 & 4. In the 1950's the practice of skiing behind cars and motorcycles was quite popular and has been recorded and immortalized in a video called "The Most Dangerous Sport in the World" which can be viewed below. While motorized skijoring (in any organized fashion) went dormant for a period, it has recently enjoyed a resurgence in Latvia, Austria and Alaska. There is also evidence of skiers being towed by an airplane in Middlebury, Vermont! The Arctic Man Classic is an event held from April 9-15, 2018 at Summit Lake. Race day: Thursday, April 12. "The Arctic Man is a race for teams of two skilled competitors that tests the strength of an athlete and the horsepower of a snowmobile. Courage and training are essential elements of this team of snowmobile and skier. The Arctic Man is one of the World's Toughest Downhill Ski races, and an exciting snowmobile race, all in one. The skier begins at a summit elevation of 5,800 feet and drops 1700 feet in less than two mile to the bottom of a narrow canyon where he meets up with his snowmobiling partner. The snowmobiler meets the skier, on the go, with a tow rope and pulls the skier 2 1/4 miles uphill at top speeds of up to 86 mph. The skier and the snowmobile then separate and the skier goes over the side of the second mountain and drops another 1200 feet to the finish line. At the Arctic Man you "GO FAST or GO HOME"
Truly the Ultimate Adrenaline Rush for spectators and competitors alike. Last year approximately 13,000 spectators came from around the nation as well as different countries around the world to enjoy this spectacular Alaskan event. The area the race is held is some the of the best snowmachine riding country in the world. The snowcapped peaks and beauty make this spring event one that you will treasure for a lifetime." The Red Bull Twitch’n‘Ride event is a skijoring competition unlike any other. This event harnesses a different kind of "horsepower' and combines motocross with skijoring. The modern event harkens back to the Swiss tradition of skiing behind vintage motorcycles or automobiles in the 1950's. The Most Dangerous Sport in the World. Red Bull also sponsors a race in which skiers are towed by snowmobiles. In 2014, extreme sailor, Roman Hagara, claimed the title of King of Kitzbuhel in Austria despite a field of more experienced skiers. He largely credits his driver with the win. The race course was built on Pass Thurn. 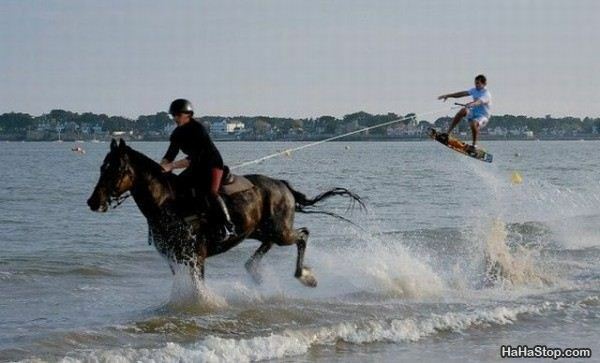 With the X Games gaining in popularity, and skijoring expanding as a sport, perhaps it is only a matter of time that the two combine! Skijoring is not limited to the winter months. . . 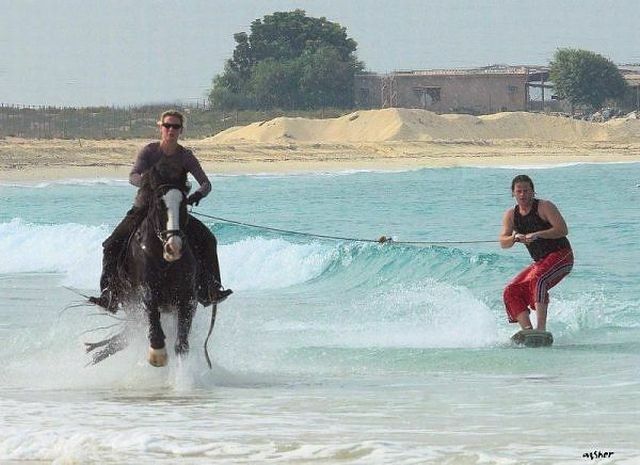 Here are some examples of innovative ways people have combined horses and waterskiing, wake boarding and turf boarding! 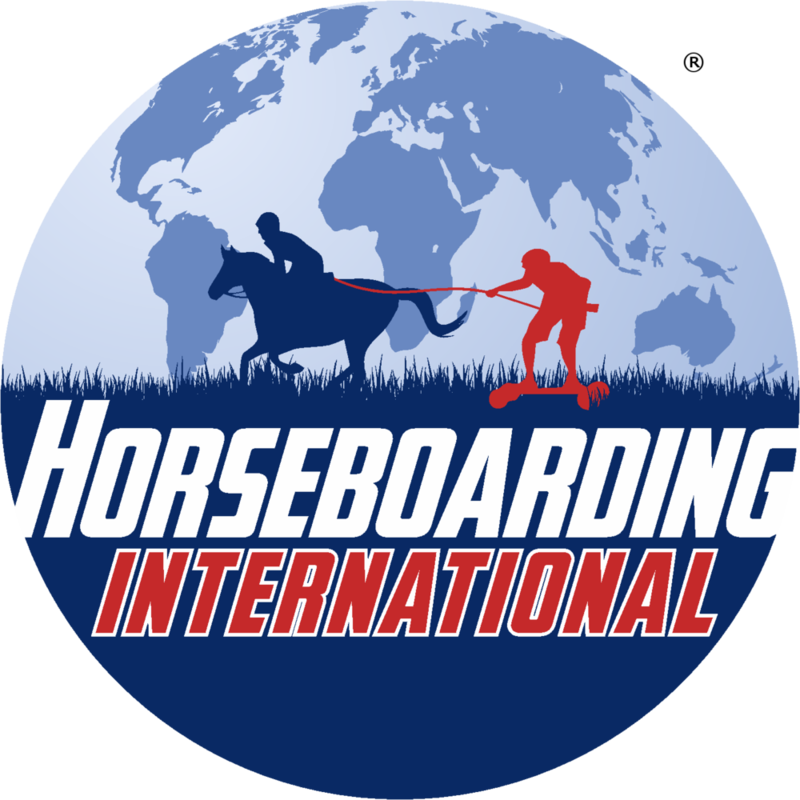 From the coast of France to the beaches of New Zealand, avid horse lovers partner with adventurous water-skiers and wake boarders to enjoy the thrill of skijoring. . . In European countries such as The United Kingdom and The Netherlands, equestrians enjoy pulling turf boarders along courses built in grassy fields or around indoor arenas. In the UK, a group hopes to form an international racing circuit including Ireland, France, Germany, Spain, Denmark, Sweden, Australia and South Africa. Click on the links below to learn more! Just when you think you've seen it all. 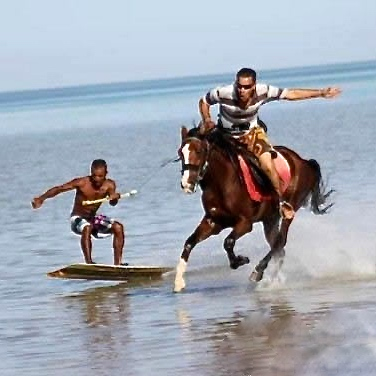 . . Folks have even found ways to be pulled on skis in mud holes and irrigation ditches! JOR ON! The first report of a person being pulled on skis (or wooden boards) by an animal or animals, dogs in this case, was recorded by a Persian historian thousands of years ago in the Altai Mountains of Central Asia, where Russia, China, Mongolia and Kazakhstan meet. These coordinates are referenced on the Home Page. 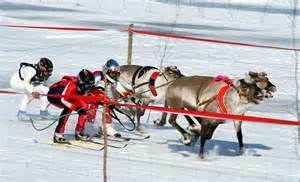 For hundreds of years, Laplanders have been harnessing reindeer and strapping on Nordic skis as a way to travel across vast snowy expanses, and skijoring (spelled skijøring or skikjoring in Norwegian and meaning "ski driving") is now popular in all Scandinavian countries. In the mid 1940's, skijoring found its way to North America. When World War II ended, men from the 10th Mountain Division, our "Soldiers on Skis", returned home. There were no ski resorts or lifts back then, so they had their cowboy friends attach a long rope to their saddle horn, and then they held on as the horse was ridden at high speeds down a long straight-away. Thus, American races were born. Today, equine skijoring is a highly specialized competitive sport, where horses accelerate to over 40 mph in just three strides covering a track roughly 800-900 feet in length. Skiers must navigate a course of jumps, gates and capture rings while being pulled by a 30' rope at speeds up to 60 mph as they accelerate around gates. Competitive skijoring races are currently taking place in over 5 states in the USA as well as in St. Moritz, Switzerland, and the sport is practiced in various ways and across numerous countries worldwide: France, Poland, Latvia, Norway, Sweden, Finland, Ukraine and Russia. 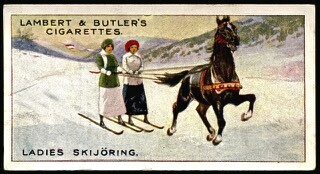 Skijoring is believed to have made its official debut in Stockholm at the Winter Games of 1901. In 1928, skijoring was featured as an exhibition sport at the Winter Olympic Games in St. Moritz, Switzerland. In 1976, Denver, Colorado listed skijoring as an exhibition sport in their bid for the Winter Olympics. Denver won the bid, but ultimately turned it down, and skijoring was destined to remain in the shadows. 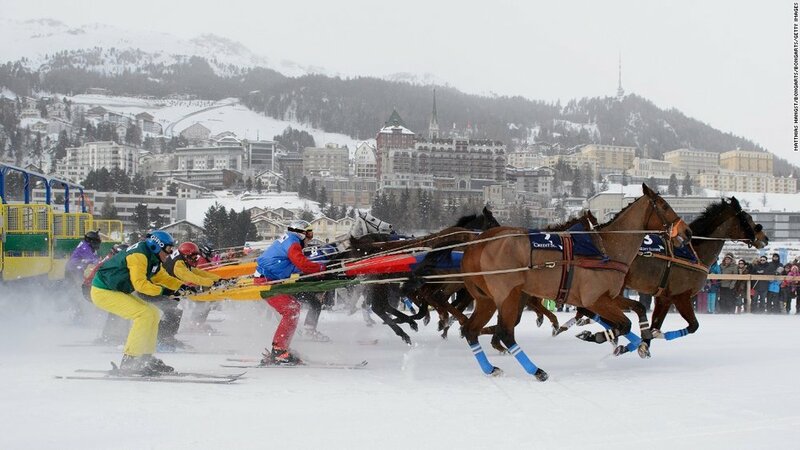 Today, in Europe, equine skijoring gets the most exposure during White Turf in St. Moritz, Switzerland. 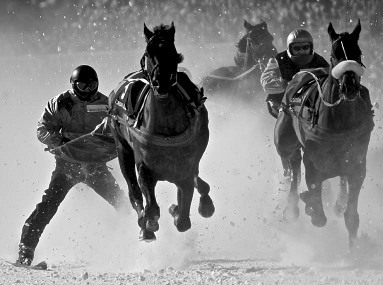 White Turf, an event which features horse racing on snow as well as chariot racing and skijoring, began in 1907 and draws over 35,000 spectators a day. In the United States, Leadville, Colorado has been hosting a competition down its main street since 1949. Other popular venues include Butte, Helena, Wisdom, Columbia Falls, Bozeman, Whitefish, Red Lodge and West Yellowstone, Montana; Sandpoint, Bellevue and Driggs, Idaho; Jackson Hole, Saratoga and Cody, Wyoming; Soldier Hollow near Park City, Utah; and Steamboat Springs, Pagosa Springs, Kremmling, Silverton and Leadville, Colorado. In Steamboat Springs, Colorado, skijoring remains a recreational tradition at their winter carnival just as it was at the Darmouth Winter Carnival for many years in Hanover, New Hampshire. Jody Manly dedicated his life to the sport of equine skijoring and founded the Leadville race known as the "Granddaddy of 'em all" named for Jody Manly, himself. Jody passed on January 10, 2017, the day this site was officially launched. It is dedicated to him and all those that follow in his footsteps.